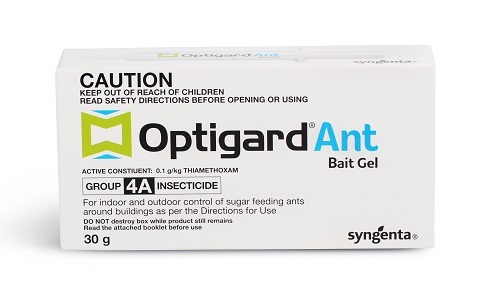 OPTIGARD ANT BAIT GEL contains a highly palatable bait matrix. This recipe is designed to make OPTIGARD irresistible to sugar feeding ants. This highly palatable bait is infused with thiamethoxam, a non-repellent active ingredient that is transferred back to the nest eliminating ant colonies, avoiding call backs and retreatments for professional pest managers.